The Nobility of Italy reflects the fact that medieval "Italy" was a set of separate states until 1870 and had many royal bloodlines. 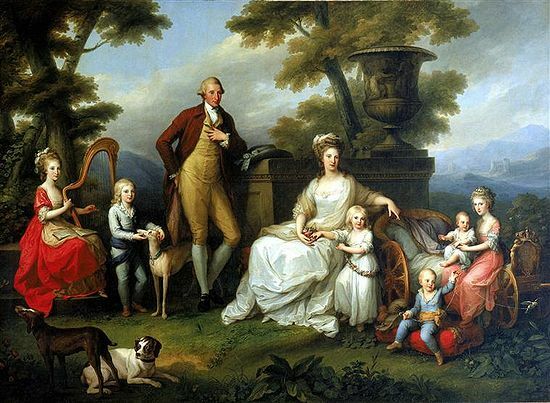 The Italian royal families were often related through marriage to each other and to other European royal families. Prior to Italian Unification, the existence of the Kingdom of Sardinia, the Kingdom of the Two Sicilies (which before 1816 was split in Kingdom of Naples and Kingdom of Sicily), the Grand Duchy of Tuscany, the Duchy of Parma the Duchy of Modena, the Duchy of Savoy, the Duchy of Milan, the Papal States, various republics and the Austrian dependencies in Northern Italy led to parallel nobilities with different traditions and rules. Under the united Kingdom of Italy a new national nobility, with an attempt (not wholly successful) to impose a uniform nobiliary law, was created, including male succession (although it was possible for ancient titles to be transferred to an heir in the female line by royal authority), and some acknowledgment by the King of Italy of titles conferred by Francis II of the Two Sicilies in exile by making new grants in the same name. Those nobles who maintained allegiance to the pope became known as the Black Nobility; in 1929, the Lateran Treaty acknowledged all Papal titles created before that date and undertook to give automatic recognition to titles conferred by the Holy See on Italian citizens in the future, under the Constitution of the Republic of Italy adopted in 1948, titles of nobility are not legally recognised. Modern King of Italy became a nation-state during the Risorgimento on March 17, 1861 when most of the states of the peninsula and Kingdom the Two Sicilies were united under king Victor Emmanuel II of the Savoy dynasty, hitherto monarch of the Kingdom of Sardinia, a realm that included Piedmont. The architect of Italian unification was Count Camillo Benso di Cavour, the Chief Minister of Victor Emmanuel. Rome itself remained for a decade under the Papacy, and became part of the Kingdom of Italy only in 1870, the final date of Italian unification. Napoleon III's defeat brought an end to the French military protection for Pius IX and on September 20, Italian troops breached Rome's walls at Porta Pia and entered the city. 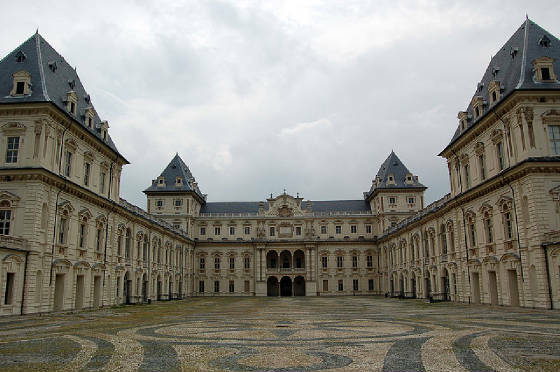 The Italian occupation forced Pope Pius IX to his palace where he declared himself a prisoner in the Vatican until the Lateran Pacts of 1929. The Holy See (State of the Vatican City) is now an independent enclave surrounded by Italy. Until 1948, the Consulta Araldica (College of Arms) governed heraldic matters in the Kingdom of Italy. Based first at Turin and later at Rome, this agency was part of the Ministry of the Interior. Italian heraldic law was rather complex --full of regulations and other provisions attempting to preserve certain heraldic practices of the realms which had existed in Italy before 1860. Indeed, various regional heraldic commissions had spent decades to ensure that the entrenched nobilities of the Kingdom of Sardinia, the Kingdom of the Two Sicilies, the Papal State, and the grand duchies of Tuscany, Parma and Modena, as well as certain formerly Austrian territories, would not be unduly offended by the body of heraldic law of the newly-unified Italy. In general, although the terms of decrees of creation issued prior to 1860 were respected, general regulations were instituted to establish national norms based on the Sardinian (Savoyard) model. While a few titles devolved to heirs male general, titles the subject of new creations were stipulated to be transmitted by legitimate male primogeniture. In certain realms, such as the Kingdom of the Two Sicilies, female succession had been permitted in cases where male heirs were lacking, and this policy was abrogated. Transmission of titles to adopted children required royal rescript in most cases. The last Italian monarch, King Umberto II (1904-1983), was deposed by popular referendum in 1946. Though its results have been disputed, at least in certain quarters (particularly by fervent monarchists and by several Italian regional courts), this referendum (remarkably, the first occasion for Italian women to vote) was held under American auspices during the Allied occupation and established the Italian Republic as a legitimate state recognised internationally and, eventually, by all of the former ruling dynasties, the Vatican, the Republic of San Marino and the Sovereign Military Order of Malta. Article 139 of the Constitution of the Italian Republic codifies the exile of the King of Italy and his male heirs, a provision being abrogated only fifty years later. It also abolishes the Consulta Araldica and official recognition of predicati (territorial designations or "seats") if recognised during the Fascist era (i.e. after 28 October 1922). Subsequently, these designations could be suffixed to surnames as a result of particular petitions to provincial courts having jurisdiction in such matters. Eventually, Italian high courts would issue still more rulings to attenuate the status even of those titles recognised until 1922, but local courts would uphold the rights to identity of titled aristocrats in cases where impostors claimed the titles and territorial designations of living persons whose immediate forebears had been recognised by the Consulta Araldica before 1922. The Italian Republic's recognition (for cultural purposes) of royal dynasties other than the House of Savoy served to bolster a return of adherence to nobiliary laws as these had existed before 1860. The dynasties of the Two Sicilies and Tuscany naturally recognise their own heraldic norms, rather than those of the House of Savoy. The two orders of knighthood (Order of Malta and Constantinian Order of St. George of the Two Sicilies) that recognise ancestral nobility for certain knights employ their own nobiliary standards, which in a few respects differ from those employed in the Savoy dominions in recent centuries. Recent decades have witnessed an increasingly widespread interest in coats of arms and titles of nobility, especially among Italian descendants abroad, many of whom have been deceived by heraldic or genealogical research firms (some, ironically, operated by noble families) into believing themselves to be armigerous or even titled. As recently as the eleventh century, the sovereign rulers of vast regions --Savoy in the north and Sicily in the south-- were known by the simple title of count. Until around 1300, titles of nobility were hardly necessary as indications of high birth because aristocrats bore surnames, while the common people were known only by given names. At this early date, aristocratic surnames were usually toponymic, based upon the name of the family's fief (di Grosseto, di Noto, etc.). This has led some to believe that there exists in Italian a surname prefix or other onomastic characteristic, akin to the German von, which indicates nobility. This is not true, nor do double-barrelled surnames indicate aristocratic origins; most often, a dual surname simply indicates that numerous families in the same town bore the same surname and eventually required differentiation to distinguish among themselves. As mentioned above, a nobleman's name sometimes includes a predicato, though not a title. Thus, Giuseppe Lanza, Prince of Trabia bears the surname Lanza di Trabia, rather than simply Lanza (a common surname), on legal documents. So great were the differences between the rulers and the ruled in medieval Italy that a common man would not think to impersonate a knight or lord, although this has certainly changed. The majority of feudatories were simply signori (from the French seigneur, a title introduced into Italy by the eleventh-century Normans), vassali (vassals) or cavalieri (knights). Eventually, this class came to be known collectively as the baroni (barons), as in Italy barone was not always a title descriptive of a particular feudal rank. During the fourteenth century, most minor feudal lands became baronies, their holders barons. It must be observed that the use of these titles usually required some form of sovereign sanction or feudal tenure. Though they had been used rarely, titles of nobility had certainly existed before circa 1300, but these were usually military ranks and not hereditary. During the fourteenth century, nobiliary titles became hereditary in most of Italy, usually transmitted by male primogeniture and almost invariably linked to land. Under the Longobards and their residual civilization (the Lombards) in Italy, a fief might devolve to heirs male general of the feudatory, which is to say, to all of his legitimate sons. Yet, this was not a uniform or universal practice. With the Norman influence, Frankish law, dictating male primogeniture as a means of feudal succession, supplanted the Longobard norm in most of Italy. With very few exceptions, Italian titles are inherited only by eldest sons. By tradition, certain titles, usually dukedoms, are vested in the persons of royal princes. The Head of the Royal House of Italy, though a royal prince, is the Duke of Savoy. The Head of the Royal House of the Two Sicilies, also a royal prince, is the Duke of Castro. These titles are analogous to the royal dukedoms (York, Kent, Windsor, etc.) accorded to members of the British Royal Family. There was a time, until 1812 in some regions, when the purchase of land designated "feudal" ennobled the buyer ipso facto; the purchaser of a comital fief (a county) thus became a count. This practice ceased with the abolition of feudalism. (Serfdom, a feudal institution, was abolished in Italy during the Middle Ages.) A number of families still own portions of their traditional feudal holdings, but feudal rights and prerogatives of any kind were finally abrogated by the time that Italy was united in 1870. Although most Italian titles are attached to nominal "seats" (territorial designations), usually the names of fiefs or dimore, the ranks and titles are incorporeal. That is to say that, like an idea, name or copyright, the titles constitute a form of intangible property, but property nonetheless. In fact, this is true of nobiliary titles in most nations; the Duke of Westminster, for example, would retain his ancestral title even if he had no actual property in the dukedom of Westminster. In the Kingdom of Italy, titles of nobility did not accord their holders parliamentary seats or, indeed, any particularly noteworthy privileges save for some purely heraldic (armorial) ones, such as the legal use of a title and coat of arms and precedence at the Royal Court. The principle that the person of a "peer" or other nobleman was inviolable was not applied in nineteenth-centuruy Italian law, for it did not exist. That a titled nobleman ("pari" or "peer" in common parlance though "peers of the realm" were actually greater nobles elected to the Sicilian Parliament beginning in 1812) might enjoy freedom from attachment was likewise an unknown right. One reason for this is that with the introduction of liberal Savoyard (Piedmontese) law throughout most of Italy by 1870, the Neapolitan and Papal attitudes toward the rights of the nobility had already begun to disappear and in the event were no longer supported by statute. Principe, Principessa. (Prince, Princess). From the Latin princeps, meaning first, this is the highest Italian title of nobility, and also the title accorded members of the royal families. Many of Italy's noble princes, particularly in northern regions, are princes "of the Holy Roman Empire," and lack feudal territorial designations attached to their titles. Some southern princes descend from the most ancient medieval feudatories. In most cases, the holder of a princely title in Italy is the descendant of forebears who in antiquity were barons or counts, the family having been elevated through the nobiliary ranks over the centuries. Until the latter part of the nineteenth century, princes were addressed most formally as "Your Excellency," a form of address that may be compared, in this instance, to the British use of "Your Grace" for a duke or duchess. The wife of a prince is a princess. The younger son of a prince, and the heir before succession to the title, is a nobile dei principi di (seat), namely a "noble of the princes of" some place. Use of the honorific appellations don (lord) and donna (lady) for the son and daughter of a prince is obsolete except in formal documents issued by institutions that recognize Italian titular nobility. Princes and their consorts are most formally addressed verbally by title and territorial designation. The heraldic coronet of a noble prince is a jewelled circlet of gold surmounted by four visible pearls between five visible strawberry leaves. In most representations, the deep red tasselled cap is not rendered within the coronet. Duca, Duchessa. (Duke, Duchess). Derived from the Latin dux, a military leader, this title originally was reserved to the sovereign rulers of important territories, such as the Duchy of Spoleto. Like princedoms, dukedoms are sometimes borne by nobles whose early medieval forebears were barons, enfeoffed knights or other feudatories. Like princes, dukes were formerly accorded the address "Your Excellency." The younger son of a duke, and the heir before succession to the title, is a nobile dei duchi di (seat), namely a "noble of the dukes of" some place. Dukes and their consorts are most formally addressed verbally by title and territorial designation. The heraldic coronet of a duke is a jewelled circlet of gold surmounted by five visible strawberry leaves. Usually, the crimson tasselled cap is not rendered within the coronet. Marchese, Marchesa. (Marquess, Marchioness). The term derives from the Old Italian marchio, referring to the man charged with guarding a march, or border territory, and the French marquis shares the same origin. The Marches region, which borders Umbria, is so-called because it was once such a territory. Some attribute the origin of this word to the Middle Latin marchisus, a prefect. Most marquessates are of modern foundation; one reads of few marchesi before the fifteenth century, and the title is quite rare even today. 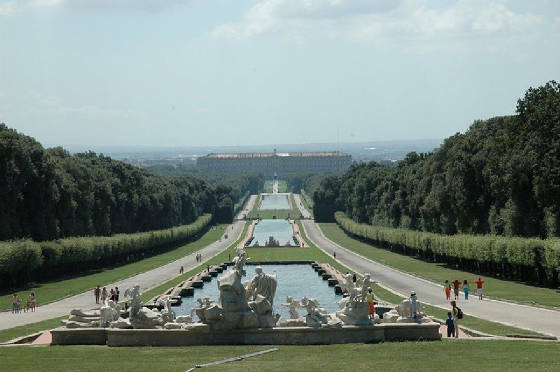 The younger son of a marquess, and the heir before succession to the title, is a nobile dei marchesi di (seat), namely a "noble of the marquesses of" some place. Marquesses and their consorts are most formally addressed verbally by title and surname; since in Italy a woman usually continues to use her own father's surname even after marriage, a marchesa may bear a surname other than her husband's. The heraldic coronet of a marquess is a jewelled circlet of gold surmounted by three visible strawberry leaves, the central leaf flanked by two rows of three pearls each, supported by stems or set directly upon the rim. Conte, Contessa. (Count, Countess). The word traces its origin from the Latin comes, for military companion. Comital territories were large in the eleventh century, but virtually indistinguishable from baronies by the fourteenth. For purposes of precedence, there is no contemporary distinction between a feudal count and a count palatine; the latter was usually a court officer who lacked a territorial designation attached to his title. It is noteworthy that conte is one of the few Italian titles sometimes, though rarely, inherited by all heirs male, depending on the terms set forth in the patent of creation. The younger son of a count, and the heir before succession to the title, is a nobile dei conti di (seat), namely a "noble of the counts of" some place. Counts and their consorts are most formally addressed verbally by title and surname. Counts palatine were created by certain sovereigns and by the Popes and usually bore no territorial designations attached to their surnames The heraldic coronet of a count is a jewelled circlet of gold surmounted by nine visible pearls, supported by stems or set directly upon the rim. Visconte, Viscontessa. (Viscount, Viscontess). Originally vice comes, for the attendant of a count, this is the rarest of the modern Italian nobiliary titles, almost unknown in some regions. The younger son of a viscount, and the heir before succession to the title, is a nobile dei visconti di (seat), namely a noble of the viscounts" of some place. The standard crest coronet of a viscount is a jewelled circlet of gold surmounted by five visible pearls, the middle and outer ones supported by stems, the remaining two rendered in a smaller diameter and set directly upon the rim. Barone, Baronessa. (Baron, Baroness). The title is probably of Germanic origin; the Latin root baro referred to a simpleton, but by the Middle Ages baronis was a title of nobility or, more often, a nobiliary rank employed in reference to holders of feudal property. Most seigneuries (see below) were eventually elevated to baronies. In the South, the most important medieval baronies were elevated to princedoms or dukedoms by the eighteenth century. Though often employed loosely in the remote past, the title barone was by 1800 established to be a creation or recognition resulting from royal prerogative, not an honorific privilege to be appropriated by any wealthy landholder. Heraldic regulation in the Kingdom of Italy further established that the sons of barons could no longer appropriate cavaliere as a courtesy title. Barone is the most frequent of the modern Italian noble titles. The younger son of a baron, and the heir before succession to the title, is a nobile dei baroni di (seat), namely a noble of the barons of" some place. The standard heraldic coronet of a baron is a jewelled circlet of gold surmounted by seven pearls, supported by stems or placed directly upon the rim. Signore (seigneur). Originally a feudal lord, the title was introduced into Italy by the Franks and Normans. Formerly a minor title, the title is rarely used today because most signori bear greater titles by which they are commonly known, and because, in common parlance, signore has come to mean "Mister." It may, albeit in an abstract sense, be compared to such ancient titles as mor, esquire or manorial lord. Seigneuries were feudal lands, similar to baronies, appertaining to certain lords, either as sub-fiefs attached to baronies or, more often, depending from the Crown directly. A signore might therefore owe fealty to a baron or directly to the king. This is the lowest title which carries a seat. As these noblemen bear a title which is no longer in use, though still mentioned in nobility directories, no particular crest coronet is displayed for this rank. In practice, a signore may display the coronet of an untitled nobleman (see below). Patrizio (Patrician). The term obviously derives from that used to describe the aristocratic class of ancient Rome, and described the urban patriciate of certain northern Italian cities. A patrizio is said to be "of" a certain place, such as Venice or Florence, without it being his "feudal" seat (patricians were an urban aristocracy). The rank is normally transmitted to heirs male general. According to legislation enacted by the Consulta Araldica, there is no feminine, but the daughter of a patrizio might be said to be dei patrizi [surname], namely "of the patricians [surname]. Patrizio is also the translation of the name Patrick; Patrizia is Patricia but is never used as a title. The crest coronet of a patrician is a simple jewelled circlet of gold. Nobile (Untitled Nobleman). In the Dark Ages, local leaders known to their people were nobiliti, from the Latin nobilitas, meaning, appropriately, "known." The rank denotes some, but not all, aristocratic Italian families which lack titles. This class may be compared to the landed gentry of Great Britain. There are, strictly speaking, two kinds of nobili-the younger sons of titled nobles and male members of the aforementioned noble families in which there have never been titles. The crest coronet of a nobile is a jewelled circlet of gold surmounted by five pearls, supported by stems or set directly upon the rim. Cavaliere Ereditario (Hereditary Knight Bachelor). This rank, usually transmitted by male primogeniture but sometimes to heirs male general, is quite similar to a British baronetcy but older. However, it does not, as is commonly believed, have any direct connection to the medieval rank of the enfeoffed knight. Most cavalieri ereditari descend from the younger sons of nobles or from historically untitled families ennobled with this form of knighthood in the fifteenth or sixteenth centuries in Sicily, Sardinia and some parts of mainland Italy. Francesco San Martino de Spucches speculated that, at least in theory, hundreds of Sicilians entitled to no other hereditary honour could lawfully succeed to particular hereditary knighthoods which were long-dormant for lack of claimants. If the Magna Carta could be said to have kindled the development of England's Parliament after 1215, the War of the Vespers might be said to have fostered the conditions necessary for parliamentary development in Sicily after 1282, notwithstanding Emperor Frederick II's so-called "parliament" held at Messina in 1234. Nevertheless, the analogy is a tenuous one, and in considering the Sicilian parliaments we must distinguish between genuine parliamentary assemblies on the one hand, and mere baronial convocations on the other. In 1295 and 1296, a "parliament" was convened by Frederick, the younger brother of King James of Sicily --both being sons of King Peter of Aragon. At this session, the Sicilian baronage nominated Frederick, who was Sicilian by birth and upbringing, as their sovereign, and crowned him at Palermo the following year as Frederick III of Sicily. His elder brother objected but could do nothing to alter the course of events. This was an early example of the importance of the assent of the people, or at least that of the baronial faction, in determining who would rule Sicily. The principal parliaments held before the reigns of the five Bourbon rulers of Naples and Sicilies (the Two Sicilies) took place in 1474, 1478, 1481, 1514, 1541, 1556, 1585, 1588, 1595, 1609, 1612, 1615, 1630, 1636, 1642, 1650, 1668, 1680, 1690, 1698, 1707, 1714, 1720, 1724, 1725, 1728, 1729 and 1732. During the seventeenth century, there emerged three houses of Sicily's parliament. The clerical chamber comprised bishops and feudal abbots. The feudal chamber included "peers," who were usually greater feudatories (i.e. their fiefs were towns rather than smaller hamlets or farms), and the demesnial chamber consisted of representatives of "demesnial" cities and towns (Palermo, Messina, Catania, Castrogiovanni, Calascibetta, Vizzini, etc.). A peer may be defined as a nobleman entitled by law to a seat in parliament, and it is in this sense that the term is employed here. At the parliament of 1541, there were 3 marquesses, 10 counts, 2 viscounts (a rare title in Sicily) and 62 barons. Obviously, not all titled noblemen were peers entitled to vote in Parliament, though the term pari has always been used loosely in common parlance in Sicily, where it often referred to any titled nobleman, just as cavaliere often referred to any son of a count or baron, regardless of whether he had been invested with knightly rank. Given the particularly Sicilian penchant for the pursuit of ever-greater nobiliary ranks, it comes as no surprise that many of the comital and baronial families of the mid-sixteenth century were princely and ducal families by the nineteenth, but another practice is described by Francesco Palazzolo Drago in Famiglie Nobili Siciliane (Palermo 1927) and is worth citing: "In Sicily, all the holders of simple fiefs bore the title Baron, and in the various investitures of the same fief the title holder was indiscriminately referred to as Seigneurial Lord (Signore) or Baron (Barone)." Thus the meaning of pari, like that of barone and cavaliere, was often based as much on context and usage as on heraldic law. King Carlo de Bourbon (di Borbone) addressed a Sicilian Parliament in 1735 following his coronation as King of Sicily. Important parliamentary sessions followed in 1738, 1741, 1746 and 1786. The last important parliaments convened in Sicily coincided with the establishment of constitutions in 1812-1813 and 1848. It was actually the proposed abolition of feudalism in 1812 that prompted a session beginning in that year, though the peers could not prevent the King's abrogation of this age-old institution. The revolutions of 1848 were sufficient cause for a session in that chaotic year. During the nineteenth century, Peers of the Realm were chosen from among those noblemen whose predecessors had held parliamentary seats before 1812, or who themselves held greater feudal rights at the time of the abolition of feudalism in that year. Excluded were those noblemen whose minor feudal rights were connected with the purchase of feudal property during this period Therefore, dozens of "minor" baronial families such as the Guccia and Mendola did not hold seats in the parliamentary session of 1848, whereas the Lanza, Notarbartolo, Paternò and Alliata did. Families whose titles, in the absence of male heirs, had passed to an heiress, were not represented in parliament. As we have seen, the assent of the greater nobility was required for a King to rule over Sicily, and though this practice had evolved considerably by the revolutionary year of 1848, when the last Parliament met (one was called in 1860 but was never officially convened), it is interesting to consider that the heirs or other members of many of these peerage families have retained ties with the Sicilian Royal Family (today the House of Bourbon of the Two Sicilies) as knights of the dynasty's Constantinian Order of Saint George. In the following list, the title which was the basis of the right to a single vote in parliament is indicated in the left margin, with the name of the family indicated to the right. Though the names of some of these feudal localities, which represent but a fraction of the "Thousand Cities" of the Two Sicilies, have changed, others will be familiar to those who have travelled across Sicily. Only two territorial designations contain surnames, namely Spadafora and Villasmundo (the Asmundo family). Certain peers, who may have had feudal rights to more than one locality, were entitled to more than one vote. Indeed, in the eighteenth century there were several instances of feudatories founding localities (often by dividing a large town) in an attempt to procure for themselves additional votes; such was the case with San Giovanni Gemini, which was previously part of Cammarata, though by 1848 this was no longer a peerage title. To have been a Peer of the Realm in Sicily meant little after 1860; the Senate of the Kingdom of Italy became the upper house of the new unitary state, and though many senators were noblemen senatorial seats were not assigned on the basis of blood. Italy's Consulta Araldica (College of Arms) did not recognise Sicilian "peerages" even as honorary titles, though it recognized the nobiliary ranks on which these peerages were based. Much more could be written about the Sicilian parliaments and peerage, such as the former being influenced in 1812 by the British model, the role of feudalism in shaping these institutions in Sicily, and the comparative history of parliaments in various Italian regions (as well as the Piedmontese influence on the session of 1714). Palazzo Pitti: residence of the Grandduke of Tuscany.